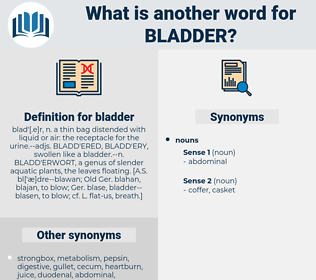 What is another word for bladder? Since the inclination to empty the bladder more often than usual may be due merely to nervousness or to many other conditions, this symptom taken alone cannot be regarded as a definite sign of pregnancy. He had prepared the bladder of a young seal which had drifted ashore dead. 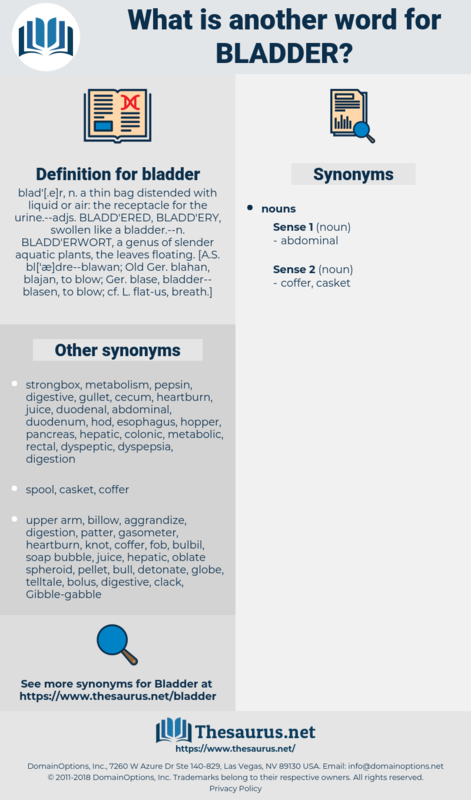 urinary bladder, gallbladder, gall bladder.